Unucky for some but not for you! 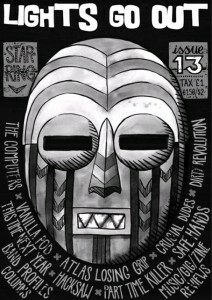 Starring interviews with: The Computers, Vanilla Pod, Atlas Losing Grip, Crucial Dudes, Dirty Revolution, Hacksaw, Part Time Killer, Safe Hands, This Time Next Year. Band Profiles of: Drones, Radicus, Cowards, Stickup Kid and Army Of Walking Corpses. Columns on various subjects. And more reviews that we’ve ever had in the zine before….pages and pages of the things!! !